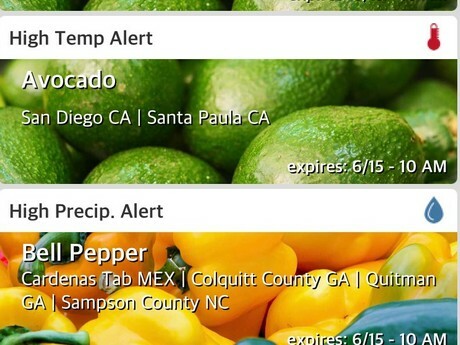 It’s the kind of idea born from the industry: an app that provides weather information and seasonality trends to help buyers, sellers and growers potentially stay ahead on pricing swings. This is the idea behind Weathermelon, a new app launched just over a month ago. The idea came from Thomas Barton and David Robidoux, two California entrepreneurs with unique backgrounds: while Barton worked in chemistry creating products for the agricultural business along with other initiatives, Robidoux worked in the agricultural business for some two decades. “And Dave always talked about the fluctuation in the weather, how it was affecting prices he was getting for his products which were tomatoes, and how he wished he could stay ahead of the weather to stay ahead of the pricing,” Barton says. To create the app, the pair spent more than a year analyzing and consolidating FDA shipping reports, industry web sites, newsletters and more to build the information. Weathermelon tracks weather data for regions spanning from Canada in the north to Chile in the south. 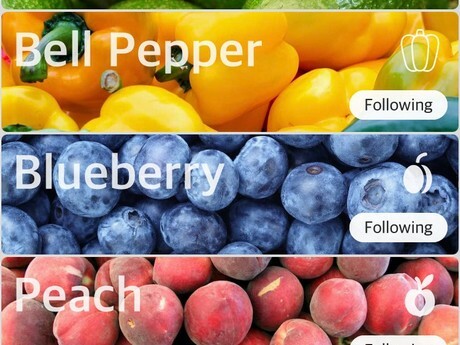 While Weathermelon is in its early stages of building its user base, it has also launched a Twitter and Instagram account.